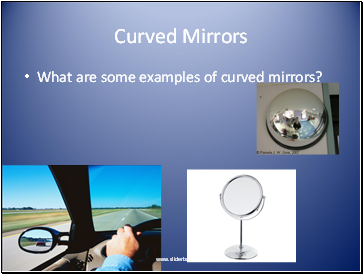 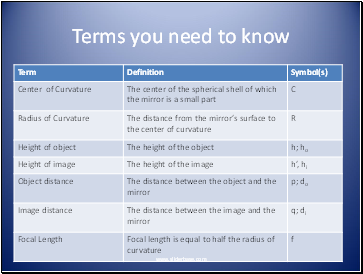 What are some examples of curved mirrors? 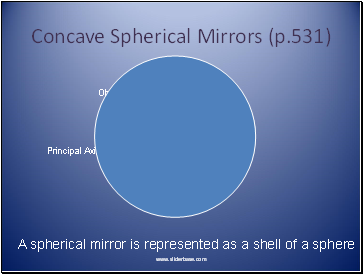 A spherical mirror has the shape of part of a sphere’s surface. 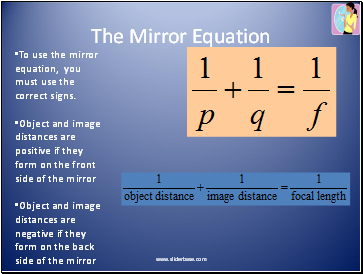 To use the mirror equation, you must use the correct signs. 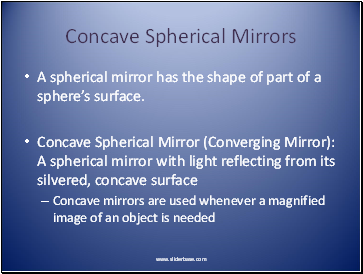 A concave shaving mirror has a focal length of 33 cm. 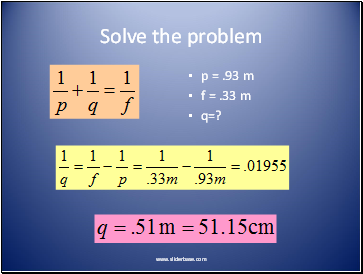 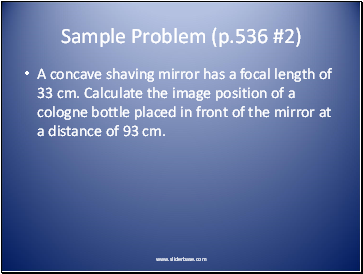 Calculate the image position of a cologne bottle placed in front of the mirror at a distance of 93 cm. 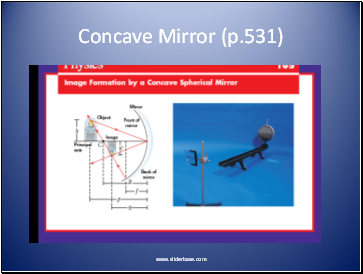 A concave shaving mirror has a focal length of 33 cm. 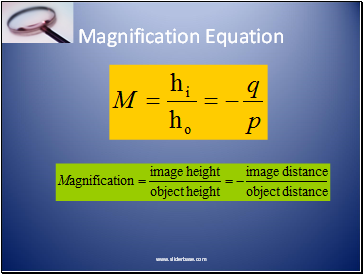 Calculate the magnification of the image. 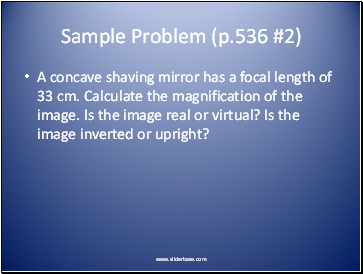 Is the image real or virtual? 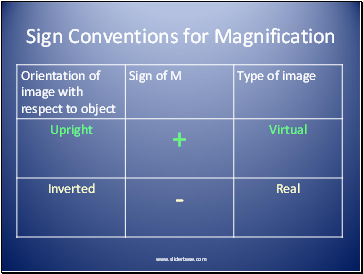 Is the image inverted or upright? 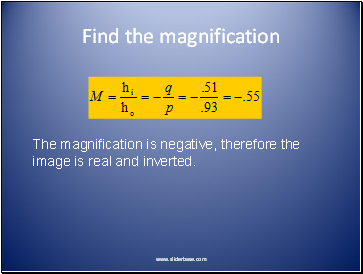 The magnification is negative, therefore the image is real and inverted. 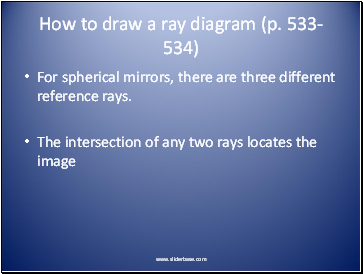 A ray diagram is a drawing that uses geometry to locate an image formed by a mirror. 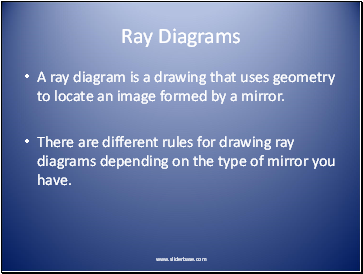 There are different rules for drawing ray diagrams depending on the type of mirror you have.